Our existence has always required someone to guide us. Living through life and carrying on with its various tasks for survival, sometimes blots from our mind the real paths to happiness. Then comes along someone, who not only is so special that his existence is hallowed, but apart from that, this someone fits into our lives with ease to lead us. 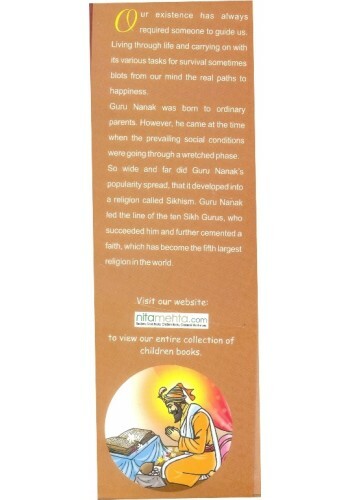 Guru Nanak was born to ordinary parents. However, he came at the time when the prevailing social conditions were going through a wretched phase. Guru Nanak was unperturbed. He knew things, that he wanted to share with the confused people. They listened. He made so much sense that people began to follow him. So wide and far did Guru Nanak's popularity spread, that it developed into a religion called Sikhism. Guru Nanak led the line of the ten Sikh Gurus, who succeeded him and further cemented a faith, which has become the fifth largest religion in the world. Our existence has always required someone to guide us. Living through life and carrying on with its various tasks for survival sometimes blots from our mind the real paths to happiness. Guru Nanak was born to ordinary parents. However, he came at the time when the prevailing social conditions were going through a wretched phase. So wide and far did Guru Nanak's popularity spread, that it developed into a religion called Sikhism. 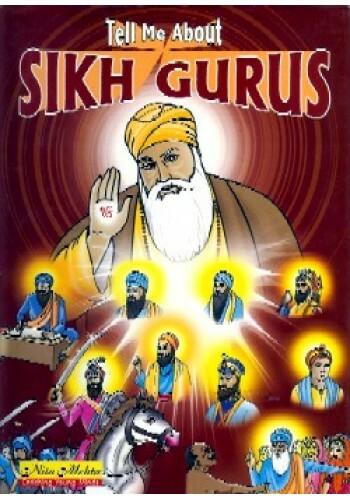 Guru Nanak led the line of the ten Sikh Gurus, who succeeded him and further cemented a faith, which has become the fifth largest religion in the world. 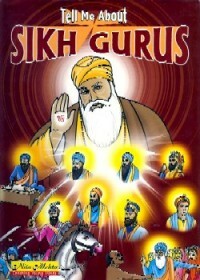 The book tells the story of the ten Sikh Gurus and the rise of the progressive religion, Sikhism. 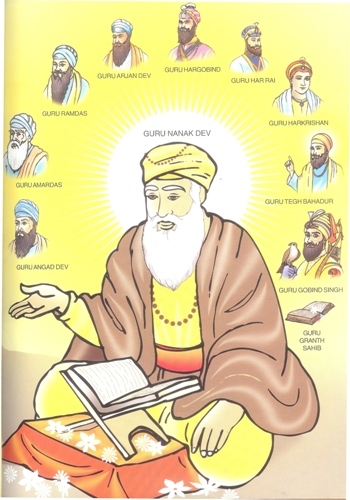 Guru Nanak led the line of the ten Sikh Gurus, who succeeded him and further cemented a faith, which has become the fifth largest religion in the world. We hope this book would inculcate values in children and equip them to deal with day to day problems with compassion and courage. 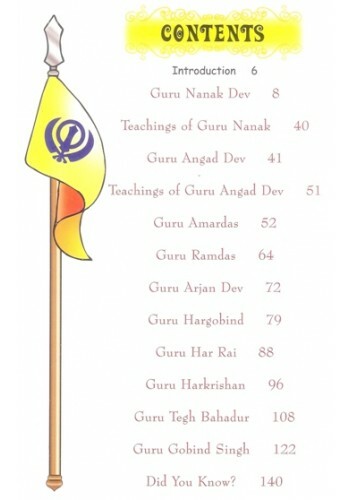 Table of Contents of the Book 'Sikh Gurus (Suitable For Kids )' ..
Table of Contents of the Book 'Sikh Traditions(Suitable for Kids)' By Dr.Kanwaljit Kaur .. Posters of Guru Nanak Dev Ji on Photographic Paper in Excellent Print Quality - We Supply Posters..
Foreword To 'All About The Sikhs Faith, History And Heritage' By Baljit Singh & Inderjeet Singh ..